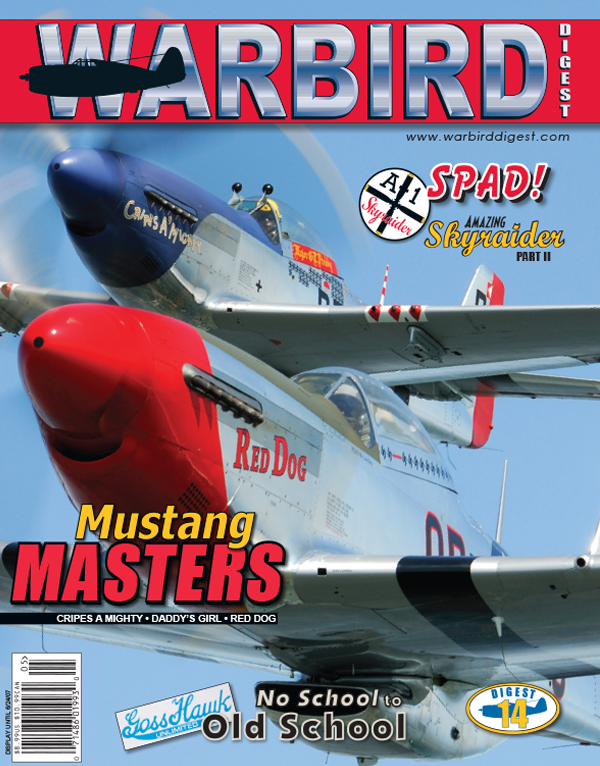 Nearly fifteen years ago Butch Schroeder set a new standard for warbird restoration with his North American F-6D “Mustang.” Warbird Digest takes a look back at the project and talks to ‘Lil’ Margaret’s’ original pilot. Mike Vadeboncoeur’s Midwest Aero Restorations has gained a reputation for turning out the extremely detailed Mustang restorations. In an in-depth interview, he shares his thoughts on the future. Scott Germain brings readers an inside look at Dave Goss’ Gosshawk Restorations. Goss’ crew have accomplished some daunting tasks over the years, but their recent work on the Oscar project tops them all. We pick up where we left off in the last issue with the remaining AD Skyraider survivors.